Coming soon affordable software to manage construction training and the associated records. Designed in consultation with industry to streamline the process from identifying skills needs to the completion of training. Use for employees and contractors; tracking skills cards, professional membership, CITB Grants, compliance, accredited training, in-house courses and tool-box talks. Designed after consulting with industry. Many of G Acceleration’s clients are in the construction industry and one of the common development needs is to streamline the planning of staff development and the management of training records. Many contractors use an array of Excel spreadsheets that do not capture all the required information. These spreadsheets are time-consuming to update and do not provide automatic reminders to renew or refresh training. Extracting information in a user-friendly manner is challenging. Also in April 2018, the CITB Grant system is changing and employers will wish to identify and manage funding. During 2017 we researched HR software packages but found that whilst they were feature rich they had not been designed with the construction industry in mind and had high ongoing licence fees that made them unattractive over the longer term. 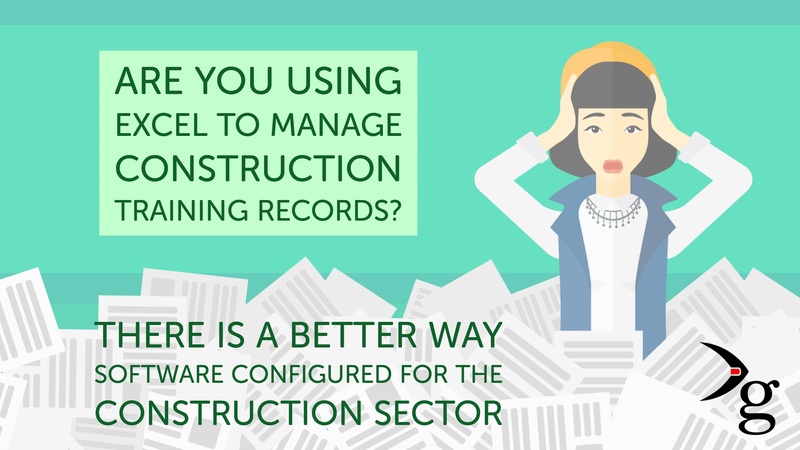 The solution to the challenge of managing training records in the construction industry is a collaboration between G Acceleration and agathon HR using People Inc HR software. We are offering a full feature-rich HR software package with low ongoing fees that has been configured to meet the needs of the construction sector. The solution, People Inc. is a feature-rich HR Software system that offers a wide range of functionality to manage employees’ records. During 2017 we met with a number of contractors of various sizes to establish what would help them plan and manage training. At the same time, we reviewed how the significant changes to the CITB grant funding would change how employers keep training records. Using this information we have configured People Inc. to meet the needs of the construction sector. This includes identifying training needs, creating a training matrix by job role, planning training, budgeting, managing records, booking courses tracking, payment of CITB Grants and the safe delivery of certificates. As each company may require different levels of support we have designed three packages, Bronze, Silver and Gold. This is a fully functioning system configured for the construction industry. You add your data as required and this Bronze package is ideal for small teams and those who have few existing training records to add. To get you started, we will provide you with templates for you to populate with your data. We will guide you through the process and upload your data to the system saving you hours of time entering data. We show you how to create Training Matrix by job role and customise Pick Lists to meet your needs. We understand that time is a barrier when introducing HR software to manage your training records. To overcome this, we offer a full implementation services where we work with you to collate your training plans, records and certificates before uploading the data into the software. To get you quickly up to speed we will provide end user training on how to get the most from People Inc. This is done by one of our certified trainers who have several years working on People Inc. The Introductory Course is usually 1 day and can be provided on customer site on a one to one basis or on one of our delegate based courses at our offices. An Overview of People Inc.